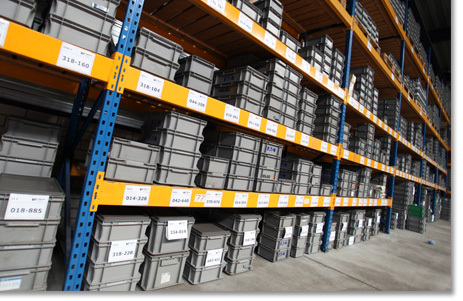 Our storage and transfer area is clean, tidy and safe. It is used optimally and offers many possibilities due to the large & spacious scaffolds. Of course it is not without reason that Eaton Netherlands has housed part of its inventory with us for many years.